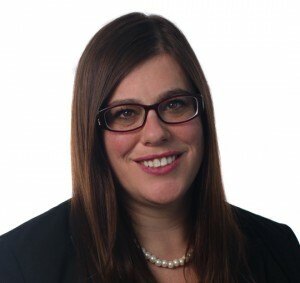 Buffalo, NY – January 2019 –Meliora Consulting LLC, a process improvement consulting firm, names Rachael Brown as Director of Business Development. Brown will also retain her role as Director of Business Development for Employer Services Corporation (ESC), the parent company of Meliora Consulting. Within both organizations, Brown will be responsible for creating, executing, and overseeing business development and marketing strategies to grow market share in Western New York and throughout the US. She works directly with business owners and executives to identify opportunities streamline and enhance their human resource, employee benefits, and payroll functions utilizing ESC’s unique systems, as well as increase capacity and eliminate waste utilizing Meliora’s team of Lean Six Sigma Master Black Belts and custom developed strategies. Brown is active in the Western New York community and currently serves on several boards and committees, including the Amherst Chamber of Commerce board, Buffalo Niagara Sales & Marketing Executive board, United Way Leadership Society, and Leadership Buffalo alumni to name a few. Rachael has been recognized numerous times for her contributions to the community, including Buffalo Business First’s 2017 40 Under 40 award, The Amherst Chamber’s 2017 Small Business Advocate award, and Child & Family Services’ 2018 Susan T. Siwiec Distinguished Donor Award. Meliora Consulting provides customized process improvement solutions through their team of Six Sigma Master Black Belts. With years of experience, the Meliora staff has the capabilities and expertise to take businesses to the next level. Combining insights and skills, they transform processes and strategies, and in turn, transform the companies they serve. Meliora helps shape and improve how their clients structure and manage their business. ESC is an Outsourced Human Resource (HR) Firm and Professional Employer Organization (PEO) headquartered in Buffalo, NY. The only locally owned PEO, ESC provides services to hundreds of businesses locally, regionally and throughout the country, offering unmatched expertise in all areas of HR outsourcing and employment administration, all under one roof.